A statement yesterday from Yegor Vereshchagin, wildlife conservation manager from Chukotka, Russia (Polar Bears Adjust to Climate Change, 20 February 2018) confirms that Chukchi Sea polar bears are currently doing extremely well. Contrary to previous reports and predictions (e.g. Amstrup 2011; Amstrup et al. 2007, 2008; Durner et al. 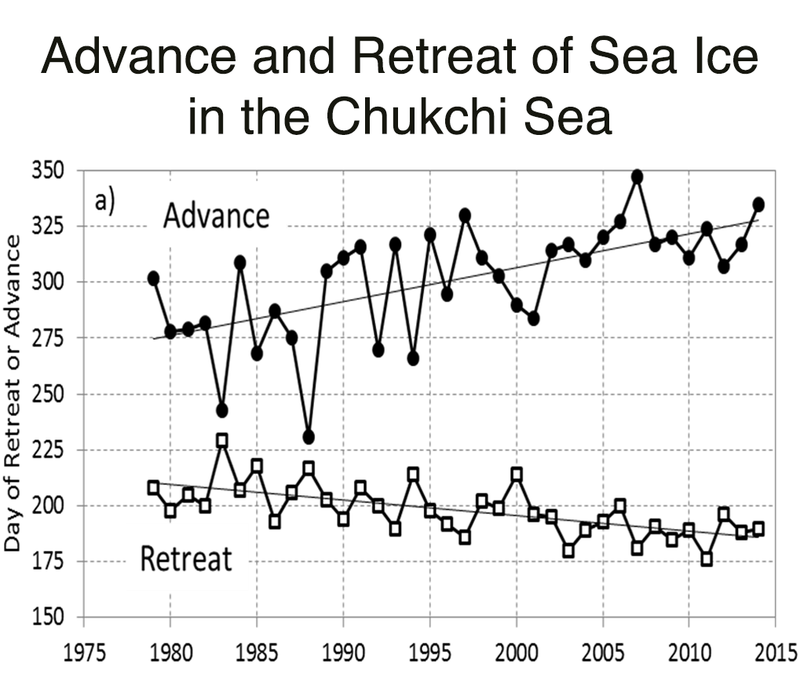 2009), there appears to be no threats due to recent declines in summer sea ice (Rode and Regehr 2010; Rode et al. 2013, 2014, 2018) or from poaching. “Representatives of other Arctic regions and the scientific community were more concerned about climatic change and its negative effect on polar bears, but these issues do not loom large with us. Both scientific data and traditional knowledge prove that nothing threatens our bears. During spring counts of dens we often find female bears with three cubs, which proves that the population is in good shape and there is no danger of a decrease in the population,” Mr. Vereshchagin said. The statement from Vereshchagin was part of a brief report from the Russian delegation to the early February Range States meeting in Fairbanks, Alaska. Unfortunately, the presentation given by Vereshchagin was not included in the documents provided on the meeting website. It’s just one of many reasons there is much to be optimistic about with regard to polar bear conservation. More on this topic next week. Rode, K. and Regehr, E.V. 2010. Polar bear research in the Chukchi and Bering Seas: A synopsis of 2010 field work. Unpublished report to the US Fish and Wildlife Service, Department of the Interior, Anchorage. pdf here. Rode, K.D., Douglas, D., Durner, G., Derocher, A.E., Thiemann, G.W., and Budge, S. 2013. Variation in the response of an Arctic top predator experiencing habitat loss: feeding and reproductive ecology of two polar bear populations. Oral presentation by Karyn Rode, 28th Lowell Wakefield Fisheries Symposium, March 26-29. Anchorage, AK. This entry was posted in Conservation Status, Population, Sea ice habitat and tagged Chukchi Sea, Chukotka, climate change, poaching, polar bear, population size, Russia, sea ice, triplets. Bookmark the permalink.